Hi folk, just want to let you know Rollup 1 for Exchange 2010 SP3 has screwed up my transport service. All Emails send from Outlook 2010 stucked in the Poison Message Queue :-( After deinstalling RU1 everything returned to normal work as expected. I got a lot of this 10003 Event Ids. This is a result because Exchange did not recognized that a disconnected mailbox already has been reconnected to a AD User. 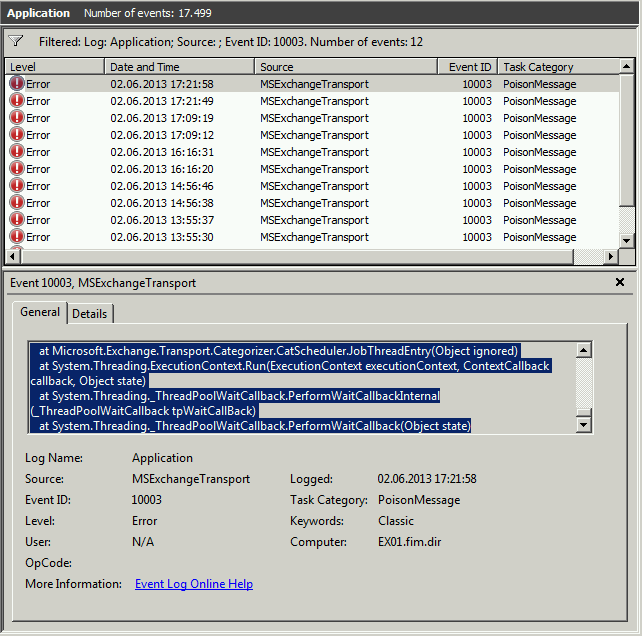 This seems to be a bug in Exchange 2010 SP2 RU1 and should be fixed in RU3 .